Check out our Certificate, License & Permit Classes below. Register online or call (319) 208-5375. 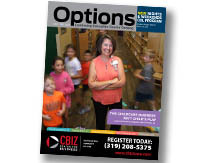 Now you can register and pay for your favorite CBIZ classes entirely online. Click the button to get started. This course is the basic course on understanding dealer responsibilities. This class will serve as a refresher course and will teach the requirements of being an auto dealer in Iowa and how to maintain a dealer’s license. Updates of changes to state and federal law, rule and regulation will be provided. The trainer will discuss new laws enacted during the 2018 legislative session impacting auto dealers as well as providing new information from federal and state agencies pertaining to the auto industry. Dealers will be encouraged to bring forth areas of concern to assist with possible solutions to these concerns. Dealers will review videos from the staff of the Iowa Department of Transportation Bureau of Investigation and Identity Protection and the Consumer Protection Division of the Iowa Attorney General’s office. An updated manual or a USB/flash drive will be provided to all attendees. This course will serve as a refresher course for Iowa auto dealers, plus provide training on vehicle title compliance and the necessity for dealer compliant paperwork. The trainer will provide an overview of dealer responsibilities with lender resources and compliant guidelines for assisting consumers with financing options. The course will provide updates to state and federal law, rule and regulation. The trainer will discuss new laws enacted during the 2018 legislative session impacting Iowa auto dealers. Dealers will review video presentations from the Iowa Department of Transportation Bureau of Investigation & Identity Protection and the Consumer Protection Division of the Iowa Attorney General’s office. An updated five hour dealer education manual and/or a USB flash drive will be provided to all attendees. Updates of state and federal law, rule and regulation will be shared with dealers. The trainer will provide an overview of regulations, policies and procedures for compliant buy here pay here dealerships. New laws impacting Iowa auto dealers enacted during the 2018 Iowa legislative session will be reviewed. The importance of using compliant forms in buy here pay here operations will be discussed with attendees. The course will be beneficial for existing buy here pay here dealers as well as those dealers who are giving consideration to establishing a buy here pay here dealership. An updated five hour dealer education manual and/or a USB flash drive will be provided to all attendees. This course is designed to enable you to meet the state requirements for coaching, ethics, care and prevention of athletic injuries, anatomy, and growth and development. Upon completion students qualify to make application to the IA Board of Education Examiners for Coaching Authorization. **This class also includes the NEW mandatory CPR/First Aid training. ** This course meets the coursework and CPR requirement for the state's coaching authorization application. Students must purchase these books: Successful Coaching, - 4th Edition and Sport First Aid - 5th Edition. This course is designed to enable you to meet the state requirements for coaching ethics re-certification. This is an independent study program. This online self-paced class enhances your understanding of techniques and theory of coaching interscholastic athletics. This class will take about 10 hours to complete and meets all requirements for the State of Iowa Coaching Authorization required core subject matter. Students must purchase their own Successful Coaching, 4th Edition book. This American Heart Association course is a 7-hour class teaching critical skills and knowledge needed to respond to and manage illnesses and injuries in a child or infant in the first few minutes until emergency medical services arrives. This content is inclusive for Child CPR state-required training for child care providers, and is also recommended for teachers, foster care providers, camp counselors, coaches, and the general public. This course combines information for both basic first aid procedures including the first aid skills recommended by OSHA and CPR skills training with instruction and practice using an AED. This course covers the major changes to the 2017 National Electric Code that affect most electricians including residential, commercial and industrial installations. Please bring 2017 NEC code book, calculator, and pencil/pen. 6 CEUs for Electrician Relicensing awarded after successful completion. This 2-hour code class teaches proper sizing of pull boxes, device boxes, conductor counting and reductions using Article 314. (Box fill rules are one of the most misapplied rules.) Participants must bring a 2014 NEC code book, calculator, pencil/pen. 2 CEUs for Electrical Relicensing awarded after successful completion. This 6-hour class covers all the aspects and rules for residential electrical work including service calculations, conductor sizing, grounding and bonding of service equipment and devices, box fill calculations, ground fault rules, arc fault rules and rules for switch and receptacle locations and type. It also covers the use of NM cable and the associated rules and uses in accessary buildings. 6 CEUs for Electrician Relicensing awarded after successful completion. Topics covered include employee and employer responsibilities for safe work practices, the definition of a Qualified Person, ARC Flash, and Approach Boundaries. Also covered is information on Personal Protective Equipment (PPE) and how to determine what level of PPE is needed, including hearing, eye, hand, feet and body protection. Participants must bring a 2014 NEC code book, calculator, pencil/pen. 3 CEUs for Electrical Relicensing awarded after successful completion. This course is the annual refresher instruction designed to train and recertify persons for Part 46 & 48B surface training for underground mines. Refresher classes are not comprehensive in scope; participants should meet the MSHA definition of “experienced miner.” The Iowa mine health and safety training program is conducted under the Iowa Department of Education, through the fifteen community colleges. If you have employees or are an employee in need of Part 46 or Part 48B of the 8 hour MSHA refresher training, then mark your calendars and register today to avoid missing out. This course presents an overview of the annual refresher training of miners for MSHA Part 48 training requirements. It will cover basic mining regulations for underground metal, non-metal, and coal mines, as well as surface areas of underground metal, non-metal, and coal mines. In addition, the course covers how to recognize and avoid hazards inherent to mines, emergency response procedures, and miners’ rights and responsibilities. The Iowa mine health and safety training program is conducted under the Iowa Department of Education, through the fifteen community colleges. If you have employees or are an employee in need of Part 48A of the 8 hour MSHA refresher training, then mark your calendars and register today to avoid missing out. This course, delivered by an MSHA approved cooperative trainer, must be taken if an individual will be working at a mine site for the first time. Hands-on, interactive instruction covers MSHA Part 46 & 48B surface training for underground mines, and health and safety issues relevant to mining operations and its employees. The Iowa mine health and safety training program is conducted under the Iowa Department of Education, through the fifteen community colleges. If you have employees, or are an employee, in need of MSHA Part 46, 48B, or 48A new miner training, then mark your calendars and register today to avoid missing out.